flowerSoft, the software to groW with… for the past 35 years! 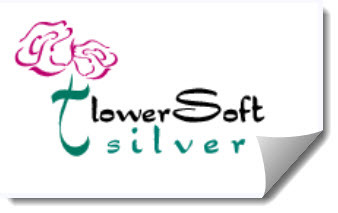 What does flowerSoft Offer You? If you are getting credit card approvals through flowerSoft, you should have received this notice from Cayan. If you are not sure if your flowerSoft has been updated to the latest version, which will support TLS 1.2, give us a call to schedule your update. They put all this data into flowerSoft and justifiably so, they want to do some “data mining”. S – Sales Analysis menu option. From the Sales Analysis menu, select the S – Order Statistics option. Once you select this option, you will be given the choice to calculate the statistics by Order Date or Delivery Date. One you make that choice, flowerSoft will ask you for the “From” date and the “To” date. So here we have a full year (2017) of the order data entered by a flowerSoft customer to look at. What can we tell from the data shown? Well, we can tell that they average approximately 33 orders per work day and 89% of their business is from local customers or web customers sending orders to recipients in their delivery area. Almost 9 out of every 10 orders are local orders that generate 88% of their revenue. Since you get to keep all or most of the money generated by local orders, I think this is a great ratio. If you look at the orders by the method of payment, you can see that 70% of their orders are paid by credit card and 18% are charged to a house account. The rest are by either check, cash or other means not involving a collection procedure. This ratio is not bad at all. 82% of their orders are paid for using “cash” and only 18% require collection. However, note that 18% of house account purchases represent 27% of their revenue. That is money that will not be collected for at least 30 days. I had this flowerSoft customer who use to let a big international airline carry large balances into the 90-days column. When I asked him why, he said it was because they gave him a lot of business every month and he was afraid they would go somewhere else if he pushed them too hard for it. You have to extend credit to corporate, professional and other institutions if you want their business but personal “house” accounts should be kept to a minimum. In this example, if you look at the 3rd screen shot, you can see that 6,225 or 17% of their customers have “House” accounts. This seems kind of high to me. Another interesting statistic is that 28% of their business comes from walk-in customers and 18% from web customers. Both those numbers look very good. Now let’s go to “Orders by Occasion”. Here I have a problem, not just with shop but most of flowerSoft customers. One of the most profitable features in flowerSoft is the “Occasion Reminders” feature. It is automatic and it takes very little effort on your part to use it effectively. This feature will generate, letters, post cards or emails notifying the customer that in the past, they have placed an order with you going to a relative or friend and asks them if they want to repeat the order. I’ve been told by several flowerSoft customer that the response rate for this feature is over 60%. The problem is this, flowerSoft can only automatically send occasion reminders for orders that have either a Birthday, Anniversary or Holiday in the occasion field. If you use a card sentiment code such as HB or HA or HMD among many others, flowerSoft will provide the correct occasion in the occasion field. However, a lot of the clerks don’t bother using these shortcuts and just type “Happy Birthday” or Happy Anniversary” or “Happy Mother’s Day” into the card. The problem with this is that flowerSoft cannot then supply the occasion for you and if the clerk does not fill the correct occasion in the occasion field, possibly hundreds of orders that would have been included in the occasion reminders run, cannot be because they do not contain one of the three occasions. This could mean thousands of Dollars in lost business to you. When I look at the numbers in that screen, it is difficult for me to believe that 56% of the orders did not fall into one of the other occasion “buckets”. If you use the occasion reminders feature or you plan to start using it, make sure you stress the importance of filling the correct occasion in the occasion field to your employees. The stats of orders by time placed could help you determine when you need to have more employees available, although looking at this shop’s figures it looks that they take the same amount of orders in the AM and PM hours. “Timed Deliveries” percentage is based on the number of deliveries and not on the number of orders like the other percentages are. Finally, the Miscellaneous stats show you other bits of information that you might find interesting or useful. flowerSoft will not save these calculations to your hard drive but it will print a hard copy if you so desire. You can do this by hitting F8 once flowerSoft finishes calculating the stats for the period you selected. If you can think of other order based stats that you might find useful, please let me know and I will try to include them in this program. I am back from beautiful and warm Miami Beach and ready to share some of the new features I’ve added while there to flowerSoft 2018. But first some sad news. When I got back to New York I found out that Bernard Silver, the one person that help me understand the floral business intricacies when I first started developing flowerSoft, passed away Friday, March 16th. He was 80 years old. There have been many florists who have helped me improve flowerSoft through the years, but Bernard was the first at a time when I knew nothing about the floral business. I will always be grateful to Bernard for unselfishly sharing his knowledge with me and allowing me to camp out at his shop and learn from him during those early days. I will surely miss him. My condolences to his family. I am attaching a link to an article in Staten Island’s local newspaper, if you want to learn a little more about this very nice man.